We have been making bowls as part of our recycling topic. 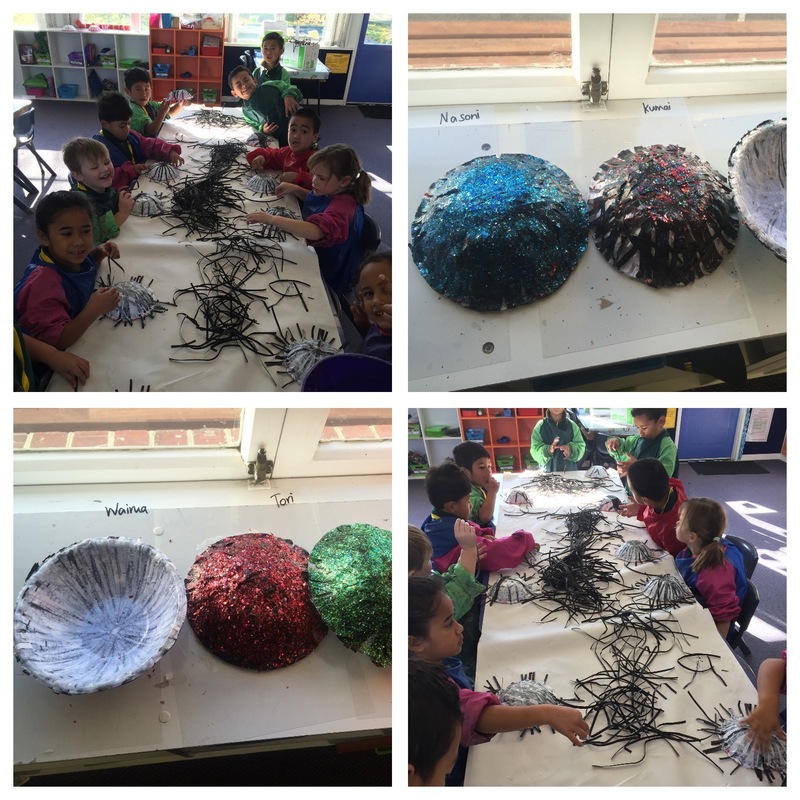 Mrs Hunt our office lady has been saving us the recycled shredded paper. With this we made these fantastic bowls and decorated them with glitter. We are allowed to eat fruit out of them next week. 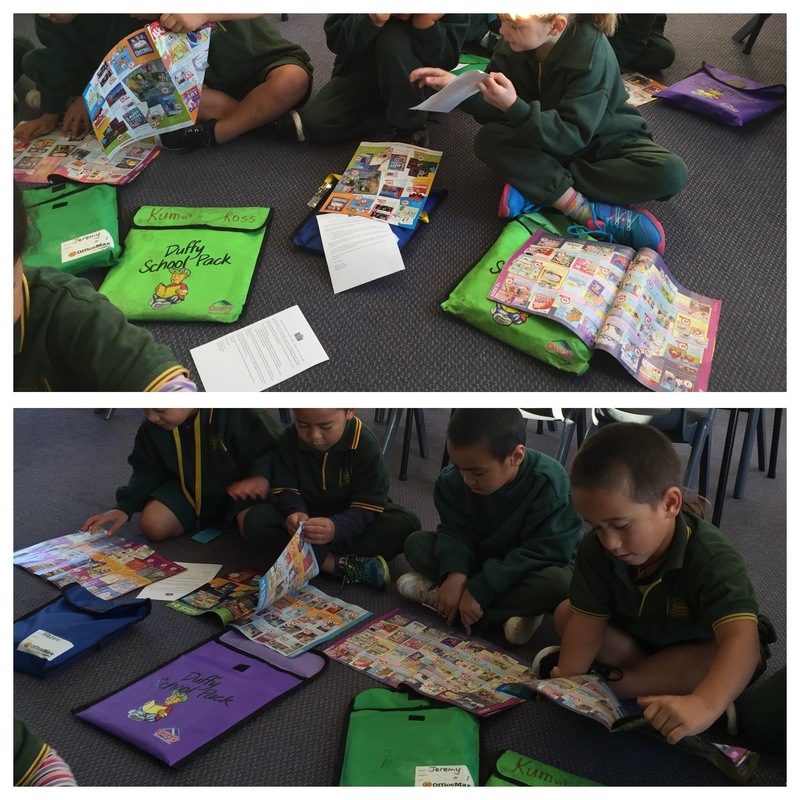 We loved looking at all the books that Scholastic has for sale. 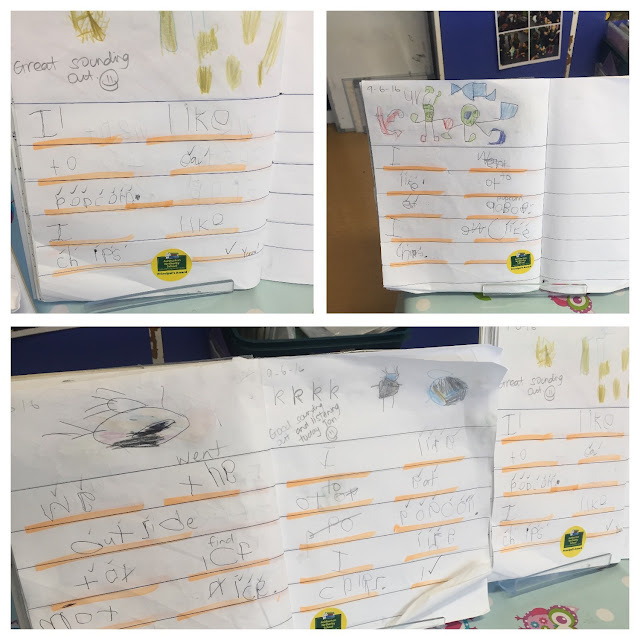 We had a scavenger hunt through the magazine and talked out our favourite books and why. 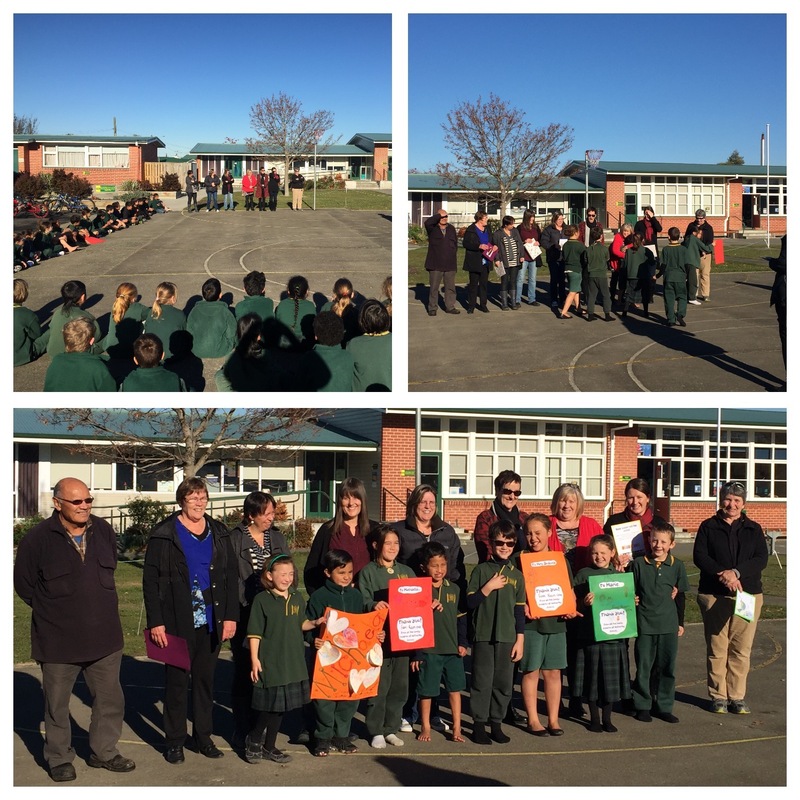 On Wednesday we had a celebration day to show our appreciation for all the support staff we have at Netherby. We had a special morning tea. We have been working really hard to sound out our words. Here are Thursdays best writers - they even got a principals award from Mr Wheeleer. We have been leaning about sketching. 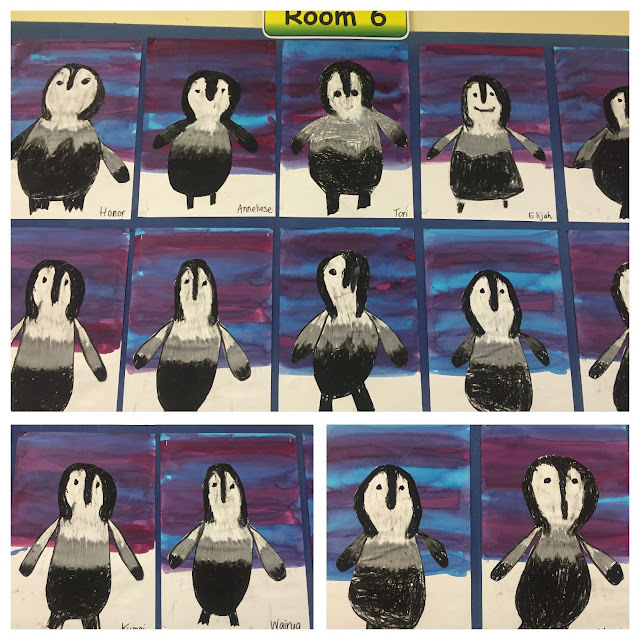 We drew these penguins as part of our production and then used pastels and dye to give them texture.